The DIVE-Turbine does not need a power house. 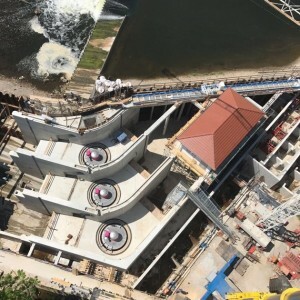 Due to the completely submerged and flood-save turbine-generator unit the cost and risk for civil works remain minimal. 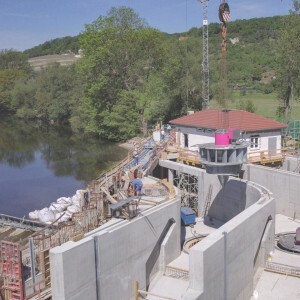 The DIVE-Turbine has only one interface to the civil works. 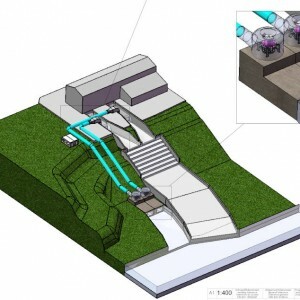 Due to its comapct and submerged design it is easy to integrate into existing buildings. Due to its simple design the DIVE-Turbine is apropriate for the integration in irrigration channels - both in pressure pipes or open channel layouts. The sealing of the DIVE-Turbine is free from wear and tear. The runner is maintenance-free. 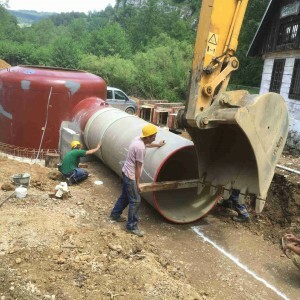 therefore it is an appropriate solution for pressure pipe systems. 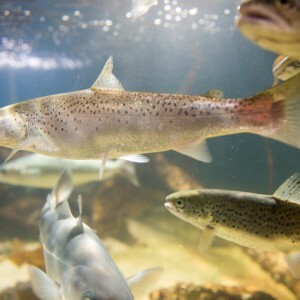 The DIVE-Turbine is fish friendly by design. In combination with a fine rake it is possible to realize very fish freindly power plants. The speed variation of the DIVE-Turbine allows for very low head installations. 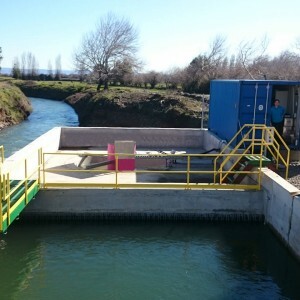 Due to the simple regulation and fish friendliness the DIVE-Turbine is very suitable for the installation in the ecological flow. 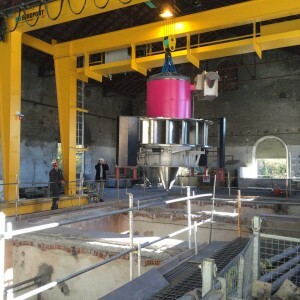 The DIVE-Turbine is a flood-save solution for riverside-power plants.